Surprisingly, he also called for a “need to empower law enforcement to patrol and secure Muslim neighborhoods before they become radicalized.” Such statements, coming from a leading presidential candidate, are only the latest examples of anti-Muslim rhetoric making the jump from the firing of hate groups to mainstream political discourse. But such jumps are not random and, in fact, have come after years of planning. The Center for Security Policy, a hate group that serves as the anti-Muslim movement’s premier think tank, has worked hard to earn the ear of elected officials and has sadly succeeded in this strategy. 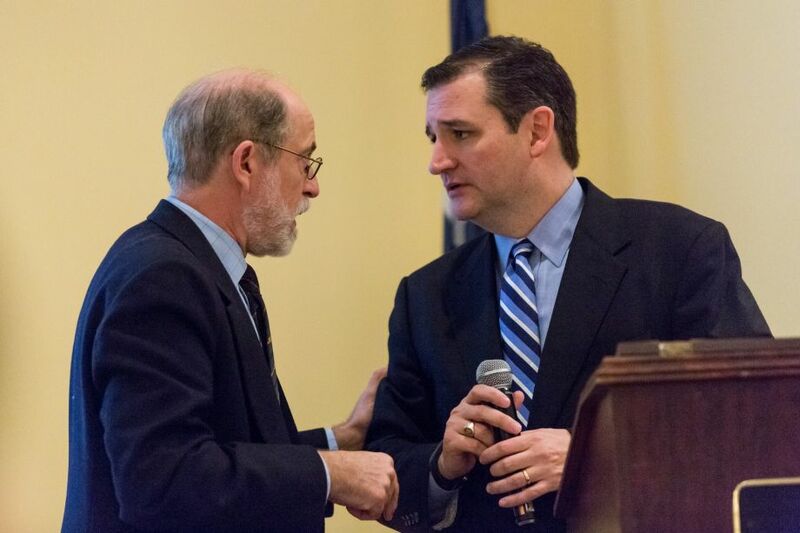 Of the eight people appointed as advisors to 2016 candidates Donald Trump and Senator Ted Cruz, all have connections to CSP and half hold ranking positions within the group, including its founder, Frank Gaffney. Listed below are detailed profiles of the eight anti-Muslim advisors Cruz and Trump have appointed to advisory roles in their campaigns. Frank Gaffney is the founder of the anti-Muslim movement’s preeminent think tank, theCenter for Security Policy (CSP). He also is one of the most outspoken anti-Muslim activists in America today, propagating conspiracy theories about the Muslim Brotherhood infiltrating the White House and producing reports calling for a ban on all Muslim immigration to the U.S. Despite such ties to known racists, Gaffney does not operate on the political fringe. In recent years, he and his organization have grown closer to Cruz, with whom he has frequently shared a stage at anti-Muslim events. In February 2014, Gaffney spoke on a panel titled, “American Security and The Iranian Bomb: Analyzing Threats at Home and Abroad“ with Cruz. A month later, Cruz spoke at a “National Security Action Summit” organized by Breitbart News, which featured a host of anti-Muslim activists including Gaffney and three other members of Cruz’s National Security Coalition. In September 2014, Cruz spoke via video at another CSP co-sponsored Action Summit. A year later, in February 2015, Cruz spoke at the CSP’s “Defeat Jihad Summit.” Gaffney also held four “National Security Action Summit” events last year in Nevada, South Carolina, New Hampshire and Iowa, all key primary states. Cruz attended the first, in South Carolina, and submitted a video speech for the other three. The CSP summits featured a number of GOP presidential hopefuls speaking alongside notorious anti-Muslim and anti-immigrant figures. In September 2015, Cruz teamed up with his rival Donald Trump to organize a rally in opposition to the nuclear treaty signed with Iran. CSP co-sponsored the event in D.C.
Boykin works for the anti-LGBT Family Research Council (FRC), but is more known for his activism in the anti-Muslim world. Last month, Boykin endorsed Ted Cruz for president, claiming Cruz was “a man of character integrity and courage.” It wasn’t a surprise, considering Boykin and Cruz have shared the stage before. In February of 2015, Cruz and Boykin both spoke at the CSP’s “Defeat Jihad Summit” in Washington, D.C. In March last year, Boykin participated in Frank Gaffney’s National Security Action Summit in South Carolina. A year earlier, both Cruz and Gaffney spoke at the Breitbart-sponsored National Security Action Conference in DC. Boykin also attended and spoke at the Cruz/Trump anti-Iran nuclear deal rally in D.C. in September of 2015. Lopez, a longtime Gaffney ally, is a key figure at CSP, previously serving as a fellow before becoming vice president of the think tank. Lopez has also participated in a number of events featuring Cruz, including the March 2014 National Security Action summit in Washington, D.C. and the “Defeat Jihad Summit” in February of 2015. McCarthy, like Boykin, is not employed by an anti-Muslim group, but he is very active in the movement, especially on the anti-Muslim speaking circuit. McCarthy recently claimed that Islam is not a religion and therefore may not deserve legal protections. 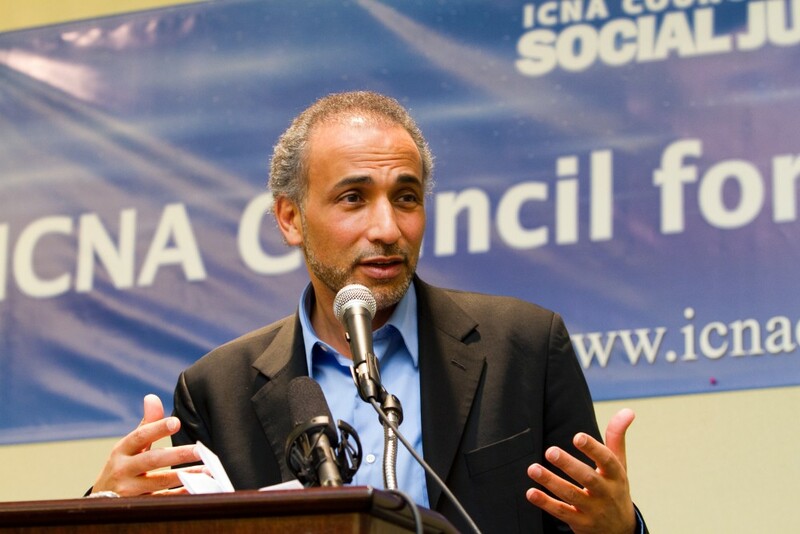 In 2010, McCarthy co-authored a CSP-published report titled, “Shariah: The Threat to America.” The report concluded with a number of alarmist recommendations, including a call for U.S. government to halt outreach to Muslim communities “through Muslim Brotherhood fronts whose mission it is to destroy our country from within, as such practices are both reckless and counterproductive.” Other recommendations included warning Imams that they will be charged with sedition if they advocate for Shariah in America. The report also called for dismantling so-called “no-go zones”—non-existent neighborhoods where law enforcement are rumored to be unable to police because they’re heavily Muslim. McCarthy praised Cruz in a December 2015 National Review column. “Cruz understands that the most immediate enemy the United States confronts on the world stage is Islamic supremacism, which ignites jihadist violence through its state sponsors, terror networks, and activist organizations.” Like Clare Lopez, McCarthy has spoken at anti-Muslim events with Cruz, including the “Defeat Jihad Summit” in 2015 and the second National Security Action Summit in September of 2014. Fleitz is another Center for Security Policy staffer appointed to the Cruz team. Like Clare Lopez, Fleitz served as a CSP fellow before moving up the ranks. Fleitz is a co-author of a 2015 report published by CSP titled, “The Secure Freedom Strategy: A Plan for Victory Over the Global Jihad Movement.” Other authors of the report include Cruz National Security Coalition members Jerry Boykin, Frank Gaffney and Clare Lopez. The report concludes with a number of radical recommendations including stopping the immigration of “Shariah-adherent” individuals to the U.S.
Sen. Jeff Sessions is one of the most outspoken anti-immigrant and anti-Muslim federal officials who, unsurprisingly, endorsed Trump last month. In 2014, Sessions received the “Daring the Odds” award from anti-Muslim hate group the David Horowitz Freedom Center for his efforts to prevent undocumented youth from receiving temporary status in the United States. Previous winners of the award include Pamela Geller, who heads the anti-Muslim groups American Freedom Defense Initiative and Stop the Islamization of America. The Center for Security Policy awardedSessions with its “Keeper of the Flame” award in October of 2015. Whalid Pharles is a Lebanese Christian with a troubled past. After Mitt Romney announced in 2011 that Phares would serve as co-chair for his Middle East advisory group, Mother Jones revealed that Phares, “was a high ranking political official in a sectarian religious militia responsible for massacres during Lebanon’s brutal, 15-year civil war.” Earlier that year, Phares was scheduled to testify at hearings discussing radical Islam that were organized by U.S. Rep. Peter King, a close friend of a number of anti-Muslim groups. King was forced to drop Phares from the witness list after his militia ties became known. Phares has spoken at several events organized by the Center for Security Policy, including a National Security Group Lunch on in February 2015, and another similar event in December of that year. He has also been a guest on Frank Gaffney’s Secure Freedom Radio show. Phares was also a guest on an ACT! for America series in 2011. ACT! is the largest grassroots anti-Muslim hate group in America, run by Brigitte Gabriel.